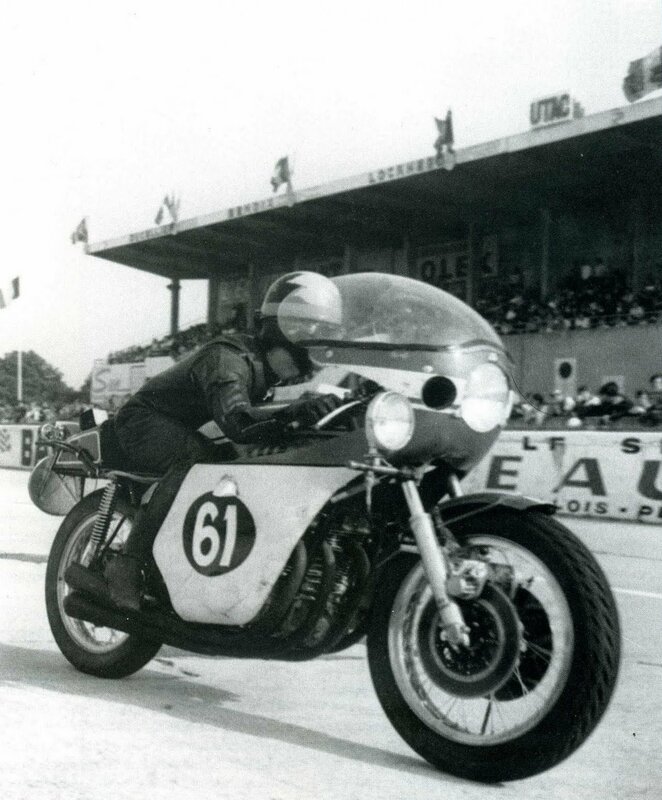 Full credit to Glenn Bewley which found this excellent article about the 1969 Bol d’Or at Montlhéry on a French blog, and shared it. The “Bol d’Or” which could be translated by the “Golden Basin” or “Golden bowl” is to motorcycles what the 24 Hours of Le Mans is for cars: one of the oldest and prestigious race in the world. There is something special about this 1969 edition as the previous one was hold in 1960. 9 long years of absence while the interest for motorcycle was booming, this rebirth was the initiative of the magazine Moto Revue. 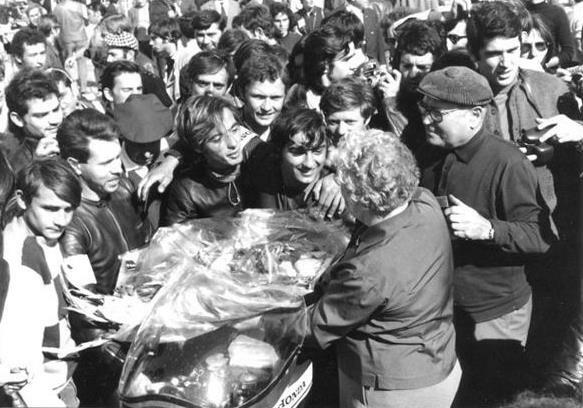 No need to say that spectators were celebrating much more than the victory of Michel Rougerie and Daniel Urdich on Honda CB 750 Four! 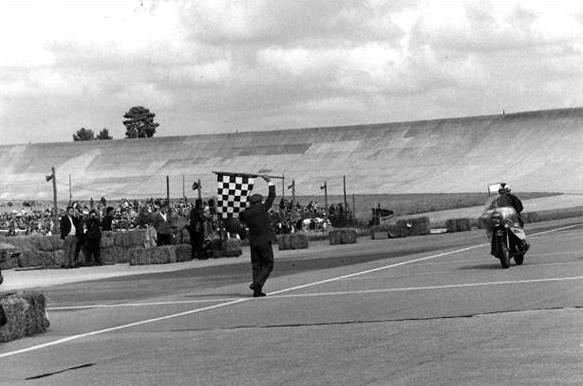 The “Autodrome de Montlhéry” is the famous French track where the Vincent team got its 8 world records in May 1952 (http://wp.me/p4cm0Z-3Z). One of its unique characteristic is the combination of a regular track like we see everywhere in Europe with a large banked curve as we see on the US Speedway. Used for many years for the “Coupes de Moto Légende”, a classic motorcycles meeting, the campus is now closed. The blog I am referring is written in French, I have translated freely the content with a special permission of the author, “Zhumoriste” (Jean Bourdache, a former Moto Revue Journalist) and also have attached at the end the links to the two original posts. 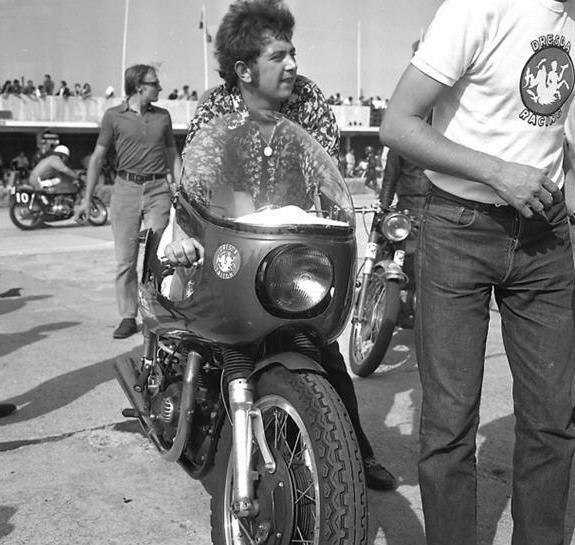 There was no Egli-Vincent on the starting grid, but these pictures shoot us back 45 years so bad that I am sure you will enjoy them. 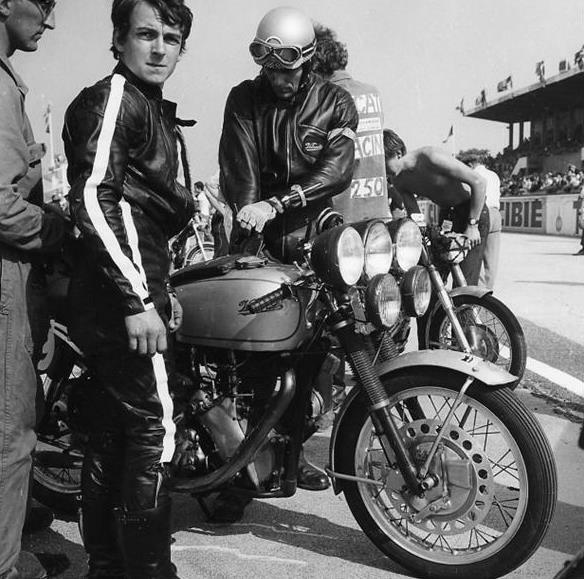 The British bikes enthusiasts will be disappointed to see that the first of the three British finishing the race, a Triumph 750 piloted by Lombard-Rayez, was only 9th behind a pack of Japanese bikes. 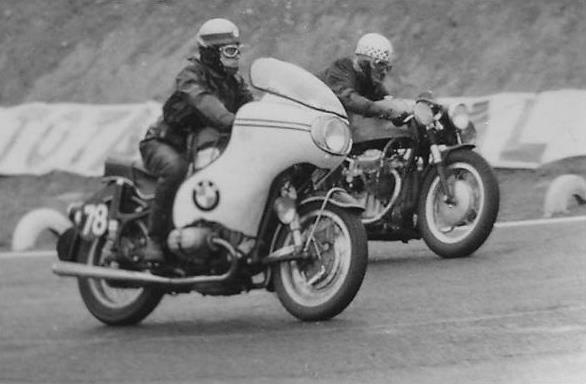 However, the next year, Paul Smart and Tom Dickie won the 1970 edition on a Triumph 750 and similarly, Percy Tait and Pickrell won the race on a BSA 750. Honor is avenged! 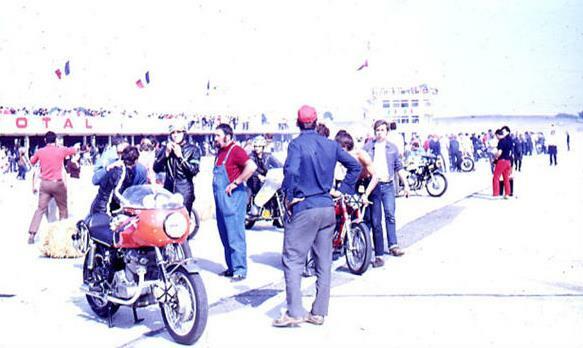 While I was cleaning my computer, a bunch of pictures from the 1969 Bol d’Or popped up. The color prints have aged quicker than the motorcycles of the same period, this is not a reason to forget them…. 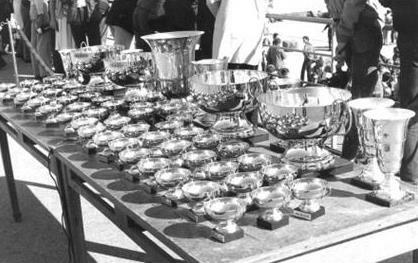 More than 50 trophies aligned on the table for the best pilots. As there were only 33 teams classified and 21 unclassified, everyone had to have his trinket. This is now a priceless memory of the Bol d’Or rebirth! Hordelalay-Meizoz’s 650 Metisse was envied by many, even among competitors. Beautifully prepared, it nevertheless experienced multiple ignition issues. Seventh during the first hour of racing, it will regress to the forty seventh place during the next hour being unable to get a better place that the thirty sixth position. Another beautiful British bike, the Dresda 650 ridden by two journalists from “Moto Revue”, Gilles Mallet and Christian Bourgeois. It will not get a better fate than the Metisse as immediately after the beginning of the race, the clutch needed to be fixed, while subsequently the gearbox which will have some whims. 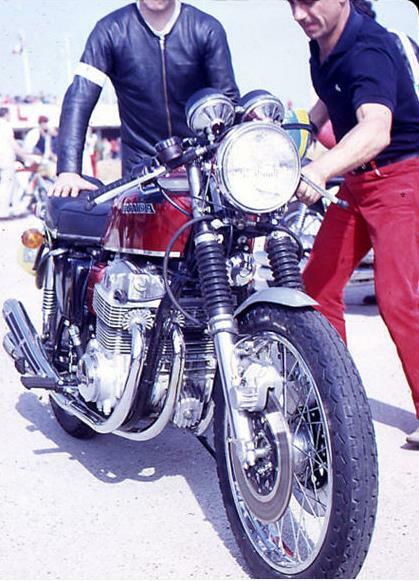 Dresda was Dave Degens brand which installed Twin Triumph in Norton rolling frames (called also Triton). Dresda continue today to prepare Triumph. 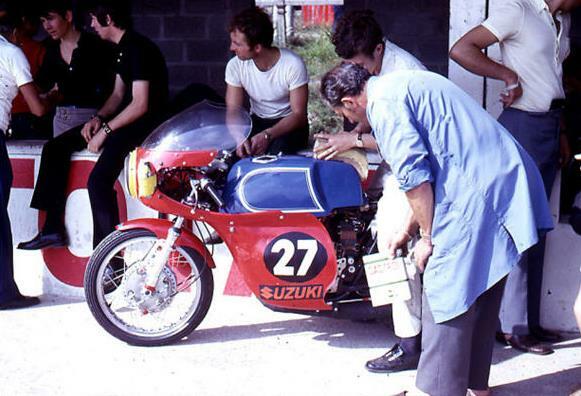 Blue tank, white pinstripes and red fairing: was it a way for Guignabodet-Baldé to Frenchify their 250 Suzuki ? Note the storekeeper outfit and slippers, the supporting team looks quite modest in appearance…. 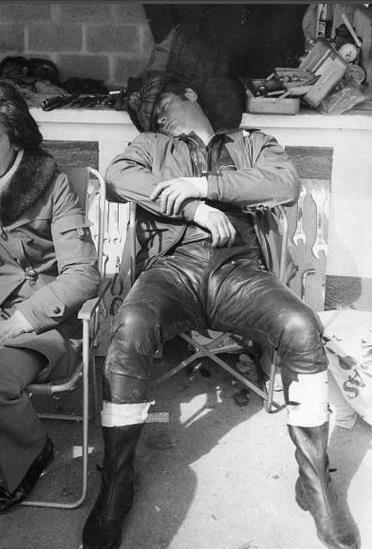 One of the pilots of the single Velocette piloted by Bilger and Goepp who had no intention of being slow at night! Nice mess on the starting line, where pilots are asked to prepare to start in the Le Mans style. Guili-Bertrand’s Laverda 750 is in the foreground, but it is another Laverda that Appietto-Naudon that will most concern to future winners. 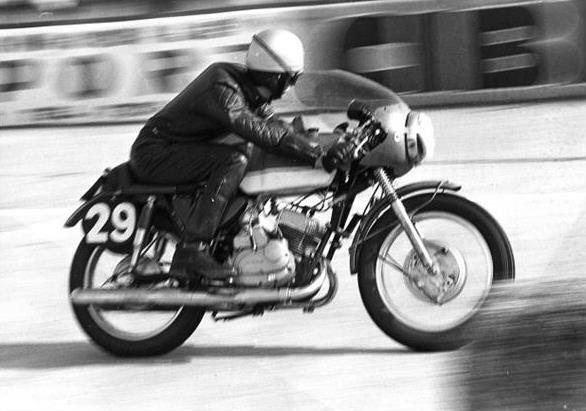 Jean-Pierre Drexler on its BMW 500-Fath shared with François Beau. At 2am, a piston clamping forces them to abandon as they were in the top 12. 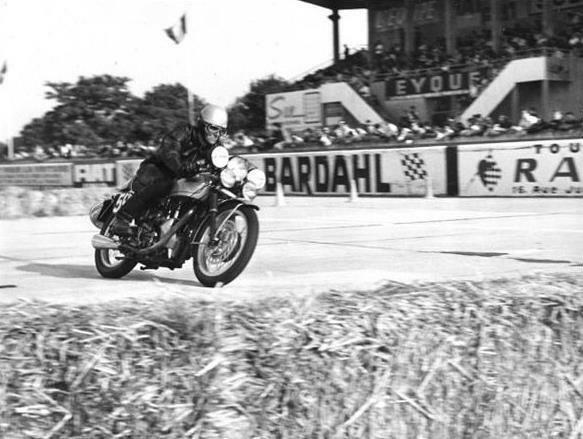 The Velocette in the chicane materialized by straw bales before the grandstand. The 250cc were not there for figuration. Lacorre-Bétemps’ Kawasaki finishes in 7th place and first in its class, just in front of Costeux-Martine’s Aermacchi 350. Some have heavier sleep than others…. 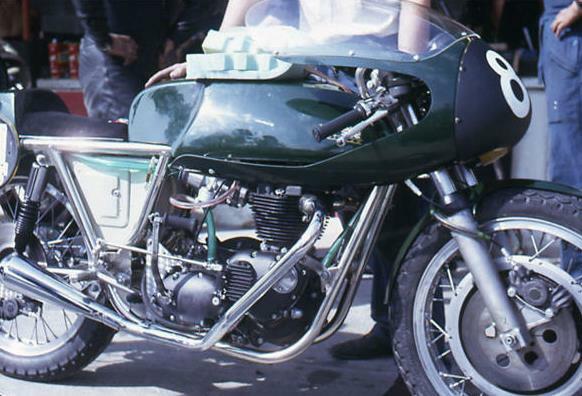 Gaillard-Gaillard’s R60/2 did not shoot for the performance despite the full fairing and the large front brake. It will finished in 21th position, before much faster machines. It looks looks like “The Tortoise and the Hare” story…. 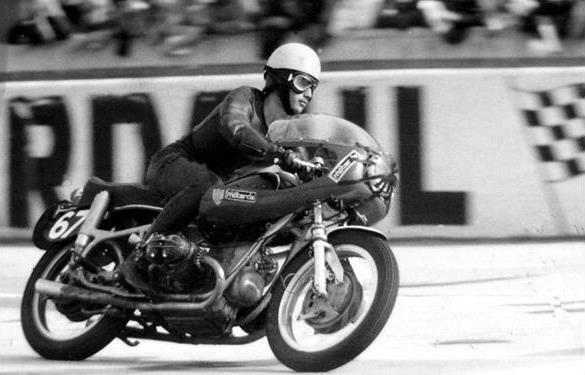 No need to say this is the winning Honda…. 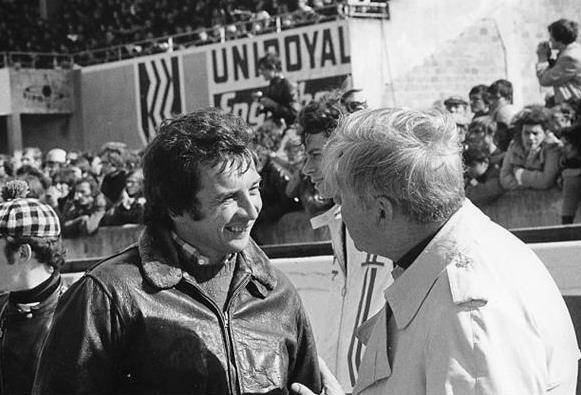 The reunion of two great historical figures of the French motorcycle: Georges Monneret (right) and Jean-Pierre Beltoise, at that time a Formula 1 pilot. 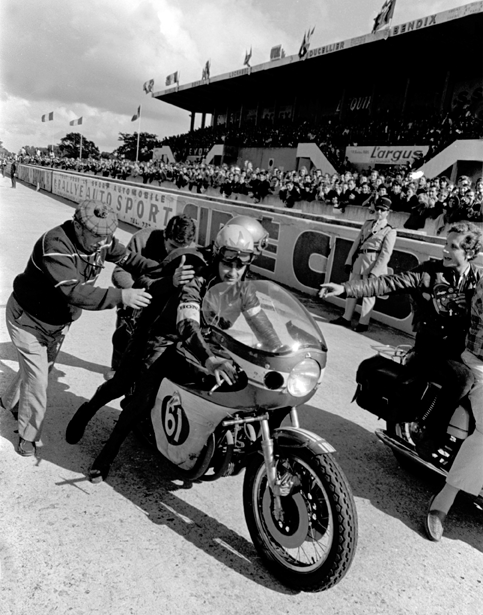 Beltoise came back to feel the atmosphere of his racing debut on two wheels. The Metisse number 84 restart from the stand in the sun set. In the background, the Dresda number 51 of Mallet-Bourgeois is undergoing a major surgery. Finally the checkered flag is falling at the 24th hour. After that, all will have a glass at the “Potinière”, the restaurant of the racetrack which hosted the awards ceremony. Michel Rougerie and Daniel Urdich celebrating their victory for this new Bol d’Or. Jean Bourdache is a wealth of knowledge on French racing history, and has written excellent books, which are unfortunately all in French. I buy them anyway, and struggle through the text, but the photos are always amazing, and otherwise unavailable in the USA or UK. I wondered how the Lucas dynamo had the power for all those lights? Hi Bruce, I believe they fitted an automotive alternator which is quite “easy” fix on the Velo. I have no left side picture but on the 6th one, one can guess the shape of a bigger alternator. 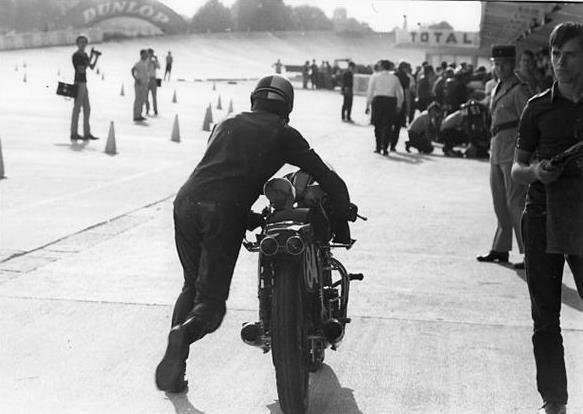 Velocette specialists, please comment….